Computer Programming: Drawing and Animation. This course from Khan Academy explores the fundamentals of computer programming through video games and iPhone apps. Students of the course can access previous projects to understand the animations and games that can be created. Introduction to Computer Science and Programming. This is a bachelor’s computer science course available via MIT OpenCourseWare. It is taught by distinguished professors, with course material that includes video lectures, exams, textbooks, and assignments. IEEE Computer Society. With more than 8,800 members and nearly 20 chapters, the IEEE is a networking society for students and professionals. Upsilon Pi Epsilon. Upsilon Pi Epsilon was founded at the Texas A&M University, in 1967. The Association for Computing Machinery is one of the largest organizations where professionals, researchers and instructors in the computing world meet to discuss issues -technical, social and educational- that they face in their line of work and share resources. It creates networking, career enhancement and life-long learning opportunities. The ACM Computing Careers Website is your go-to source of information on computing news and careers. Here, you will read about exciting experiences by people who already are in the computing industry as educators, students and professionals. 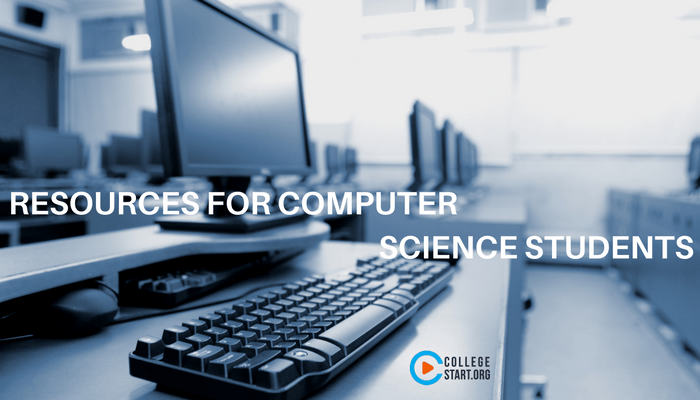 The information shared here helps you prepare adequately for a computing career. The Internet Society is an organization that is trusted for leadership in technology standards and internet policy. Their main focus is to advance technology and to ensure that the internet is a place of economic and social growth for people throughout the world. It creates a platform for people to connect and share ideas. The International Web Association is a leader in setting certification and educational standards for web career professionals. It creates opportunities for advancement for the professionals and also builds on their professionalism and effectiveness. It also gives members name affiliation that will earn them employment and / or clients from around the world. ICCP offers a certification program for businesses and professionals in the information, communications and technology sector. Through the ICCP Education Foundation, students taking technology related courses have access to scholarships. The public, government, researchers and educators also have access to research services and educational programs. IEEE Computer Society is a trusted source of information for students, employers, educators, professionals, engineers and researchers in the computer science world. It creates an opportunity, through conferences, for individuals across the globe to network. It also has publications which are authored by technology leaders. ComputerWork.com is a leading recruitment website for professionals in the world of computers. It’s a potential site for job seekers to find work opportunities from established and upcoming technology firms. It’s also used by employers to find suitable candidates for their firms. ComputerScience.org is a resourceful website that aims to share relevant information with regards to computer science. It’s a site that can be accessed by anyone including potential CS students and professionals in the computing industry. You can read about new information and interviews with experts in the field. ComputerScienceOnline.org is a leading portal for information on computer science and other technology-related careers. You will read well researched articles and information about relevant degrees, careers and salary. They have reliable sources to support the articles; sources such as the Bureau of Labor statistics and educators at top colleges. The Riley Guide is among the best directories that you could search for information on careers, education and jobs related to computer science. It’ll guide you to hundreds of websites with information that you might find useful, information such as salary data by area of specialty. ICCA.org is one of the portals worth visiting if you are looking for professional certifications, continuing education and events related to technology. It’s a place where computer consultants, data architects, software engineers, project managers, quality assurance experts, technical recruiters and other specialists in the industry meet. Usenix is an association of technicians, system administrators, scientists and computer science engineers. It supports its members through security, mobile computing and internet technology conferences, tutorial programs, university outreach programs, low member fees for students and award shows which aim to recognize achievement and excellence in technology. Computing Research Association is made up of hundreds of computing research organizations and professional societies such as ACM and IEEE Computer Society. The purpose behind this association was to build a strong academic foundation and research in computing. Corning is a world renowned materials science innovations company. It gives its employees the opportunity to grow as individuals and in their careers. Because of the different cultures, races and opinions of the employees, they get to discover new ideas and perspectives which in turn help them grow. IBM is one of the best employers for individuals in the technology business. They have positions for every aspect in computing including project managers, software developers, infrastructure specialists, general consultants, enterprise operations specialists and many more. Alcatel Lucent gives students and entry-level professionals, an opportunity to use their knowledge in tackling challenges and responsibilities, while at the same time giving them support when if need be. It also employs experienced individuals helping them grow and pursue their dreams. SAS is an established data analytics, software and business intelligence management company that serves thousands of customers in various parts of the globe. They analyze your business’s data to help you make improvements or take a new direction with the business. At Microsoft, employees are from different backgrounds thus having different perspectives. These perspectives are valued as they help create better ideas and products. The company has internship and full-time job opportunities for students and graduates. American Mathematical Society supports research, education and scholarship in Mathematics, to advancing it as a profession. It creates awareness of the discipline and how it connects or impacts other disciplines. It backs research and helps spread knowledge of mathematics. Society for Industrial and Applied Mathematics strongly supports unity and understanding amongst technological, scientific and mathematics communities. It plans conferences and activities where members can interact. QuinStreet Enterprise is one of the well-known Business-to-Business (B2B) technology companies. It’s made up of brands such as Datamation and CIOInsight. They make online publications that reach millions of IT decision makers, technology buyers, technology developers and strategists. CandidCareer.com. CandidCareer.com is a reliable site where you can find interviews in video form. These interviews usually feature professionals in as many sectors as possible. Through the videos, you can discover more about your dream job as well as other careers. Computerworld is an established technology enterprise media company that focuses on all areas of technology. They see to it that all players in the field of technology create and implement strategies that will bring change to businesses. The Bureau of Labor Statistics collects and disseminates data such as activities in the labor market, working conditions and changes in prices. This information helps with decision-making and delivery of services that are accurate and of importance. The bureau employs professionals in IT as well as others fields. O*NET Online: My Next Move is a great source of information for students and job seekers who wish to explore their career options. The application offers them an overview of skills, responsibilities and data on salary for hundreds of careers. NC Tower researches and prepares data on rates of employment, salary and career outcomes for graduates. This data is then presented to the public in the form of graphs and / or tables. Vocational Information Center is one of the resourceful portals that you should visit if you are looking for information on careers, colleges, tutorials, technical education, vocational curriculum and skills for the workforce. The site is built to help people understand or become aware of the technical and vocational education system. The National Academies Press guide is there to help students at the undergraduate and graduate level make informed career choices. It is also valuable for high school students as it helps them understand the various careers in science and engineering. ISC is an international association made up of security professionals dealing with cyber security, information and infrastructure in technology. The association provides leadership and support to address the issues of security in information systems. Career Marketplace is one of the popular employment websites in the US. It consists of more than 200 job sites. It has made navigating these sites very easy as they are grouped according to field of specialization, such as Information Technology and Health care. JustTechJobs is a private entity with a heavy presence online. They are solely focused on technology, finding and posting the best tech jobs online for their followers. The website is updated regularly for most recent postings. Entry Level Jobs is a premier site for entry level jobs in all disciplines. For computer programmers and IT graduates, you may search their listings for home-based, part-time or permanent jobs. The site also has data on salary and tasks of computer programmers. Indeed.com is a world renowned job site that’s accessible by millions of people. It’s a favorite for most job seekers and employers seeking competent people to recruit. Through indeed, you may access thousands of websites with job ads. AdvancedGroup.net has been in existence for over three decades, developing online applications and websites for a vast clientele. They work with everyone including medical institutions, shop owners, government entities, insurance companies, banks and manufacturers. The DHI Group Inc. is a respectable company that helps employers meet talented individuals that can fill up positions in their firms / companies. It gives clients the opportunity to hire technology professionals that will help their businesses grow. Computerjobs.com is one of the best places to seek IT jobs. The website makes provisions for recruiters to post jobs which are then verified to prove their authenticity. It provides job seekers with job notifications that are efficient such as emails and RSS feeds. IT Career Paths is a must visit online resource for information regarding to IT. It’s the perfect site for students who may want to venture into the technology world. It features schools that you can attend, on-demand IT careers, what the careers entail and how you can reach out to employers seeking new recruits.